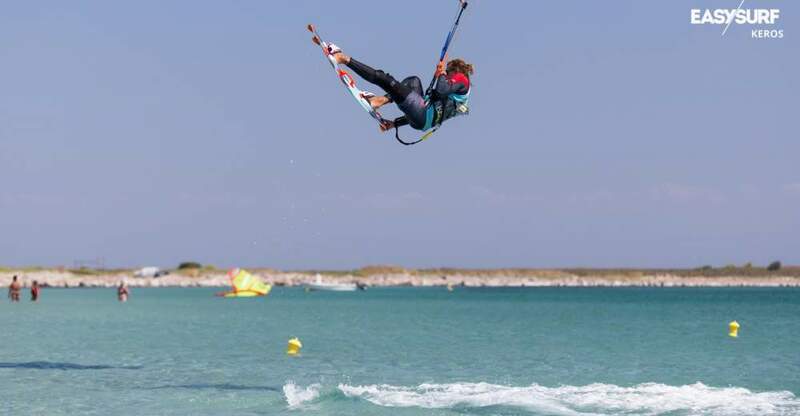 Individual lessons are aimed at people who want to focus and master a specific manoeuvre or get familiar with a new spot. The program is fully tailored to the skills and expectations of the student. Upon completing the course, you will receive an IKO Certificate that enables you to rent equipment around the world. 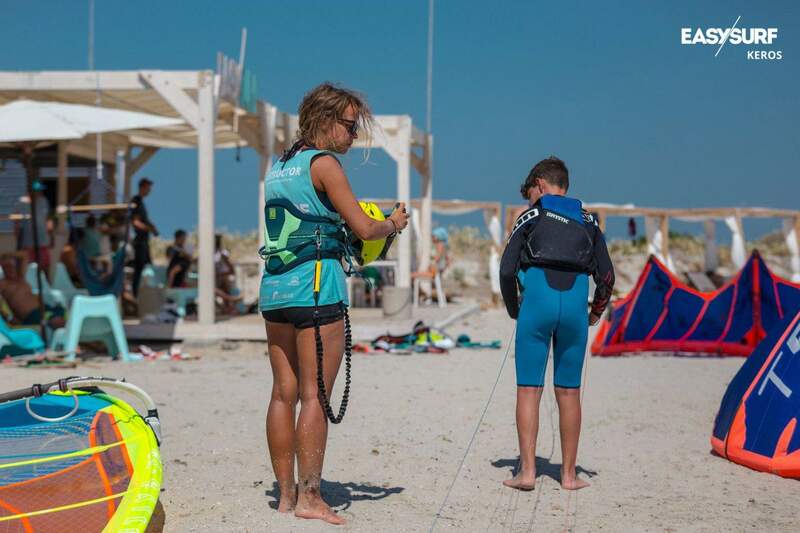 International Kiteboarding Organization Certificate issued according to the acquired skills. You can get 10% discount for booking ONLINE! 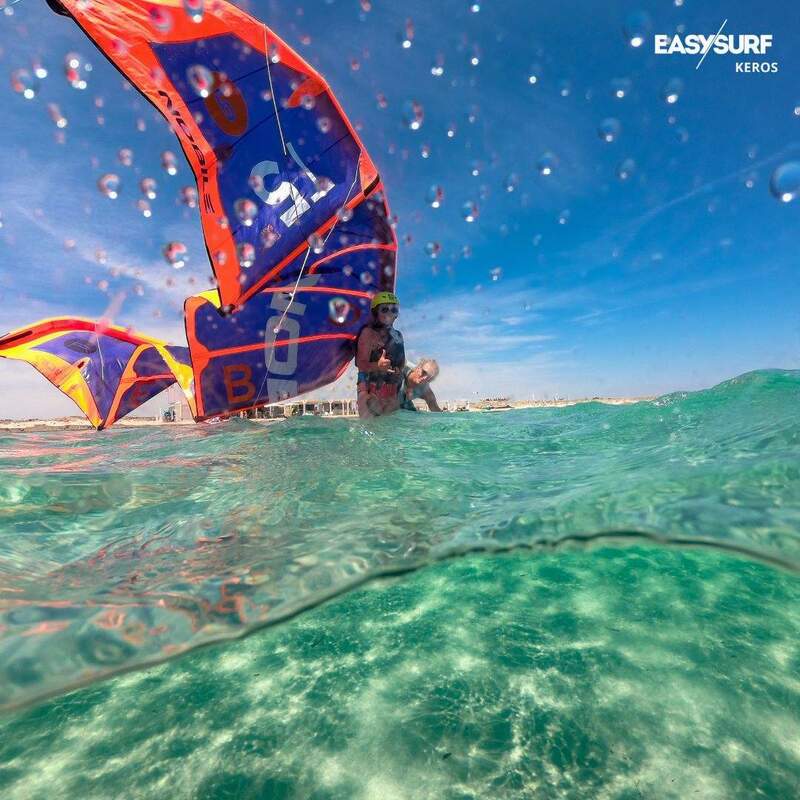 Early booking allows you to choose the instructor who speaks your language. 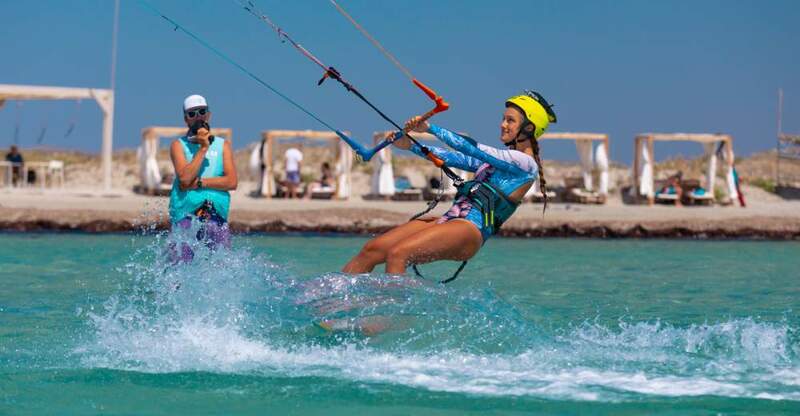 1. Who can enroll on kitesurfing course? 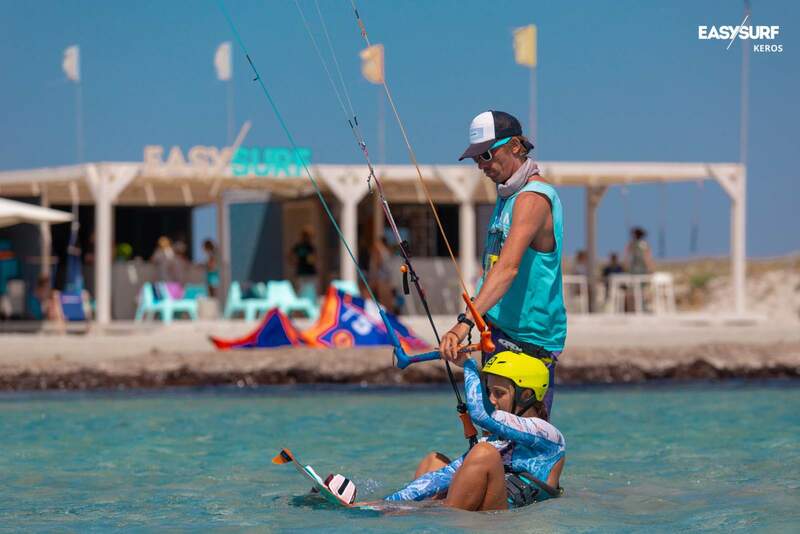 Kitesurfing is a sport for everyone. 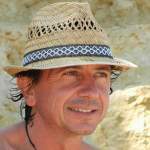 There is no upper age limit or special requirements for physical predispositions. Our oldest students are over 70 years young. 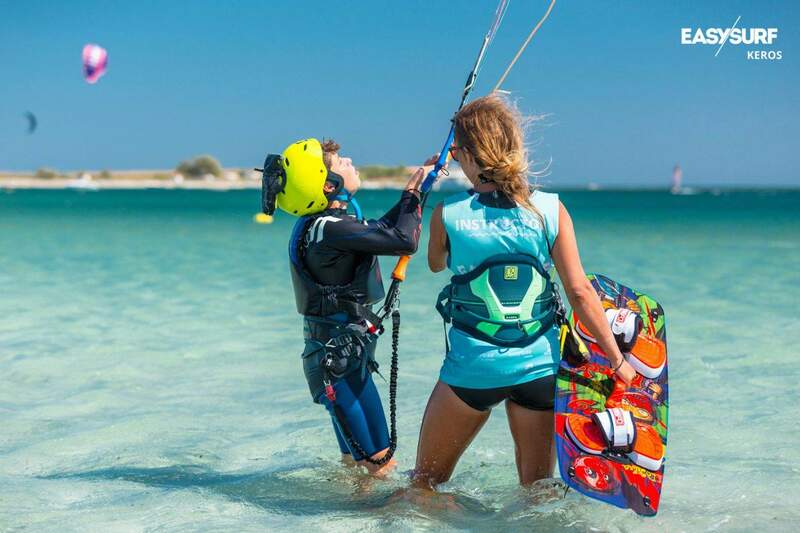 The youngest students should weigh at least 35 kg and be around 10 years old to be safe and able to continue their kitesurfing adventures. 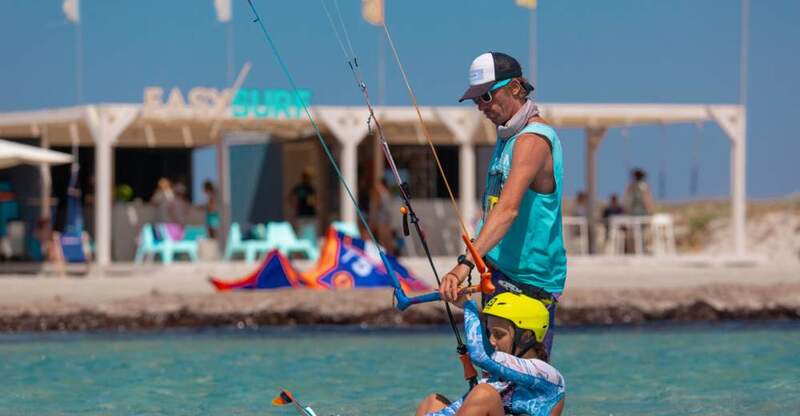 IKO means International Kiteboarding Organization that is responsible for the quality and methodology of teaching, training of instructors and supervision of kitesurfing schools worldwide. IKO is also the body issuing certificates allowing to rent equipment all over the world. 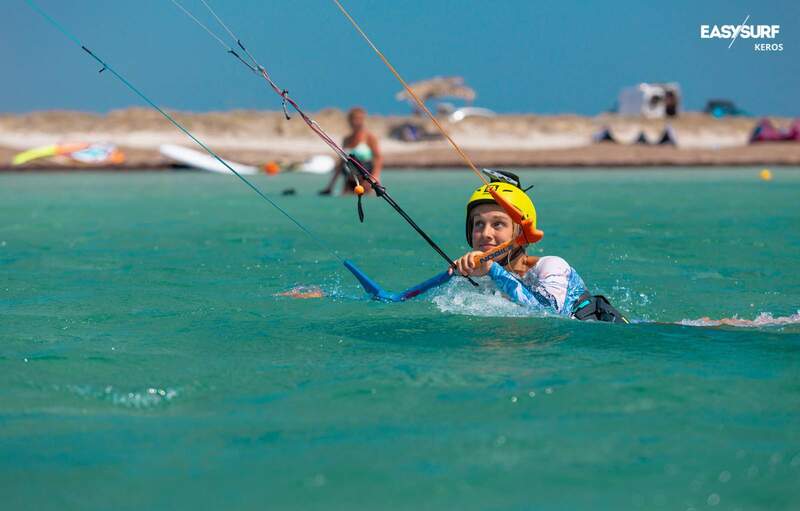 Our school carries out kite-surfing lessons only taught by IKO licensed instructors in accordance with the standards set by this organization. After completing the training you will receive an IKO certificate. 3. Is it difficult? Do you need to have any special skills? 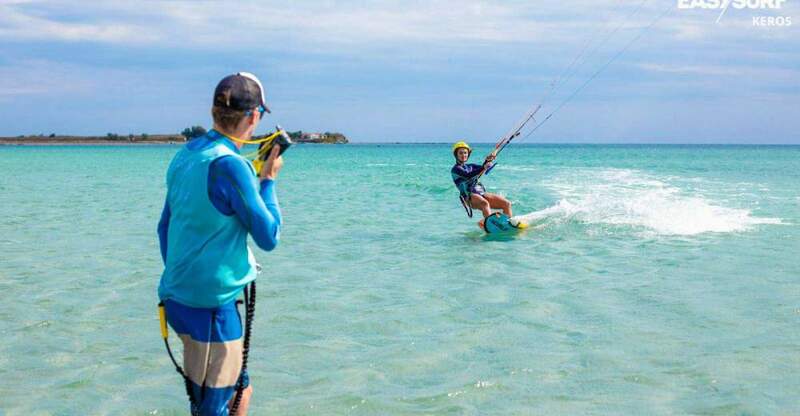 No, kitesurfing is easier than it looks. 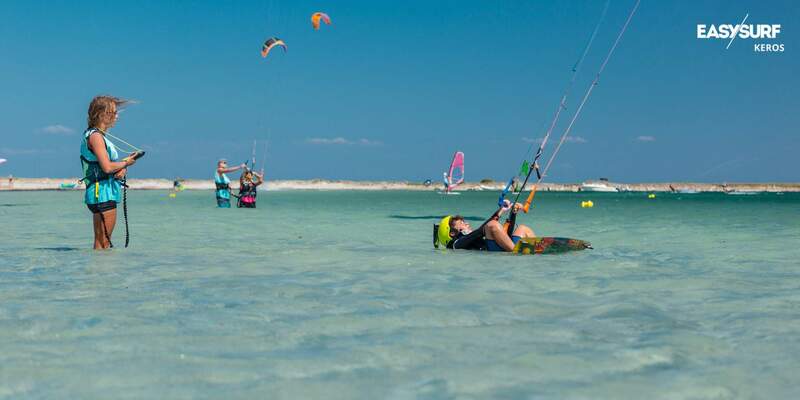 Most importantly you must understand that the first step to success is to learn how to control the kite – that’s why first few hours of the lessons are concentrated on controlling the kite. 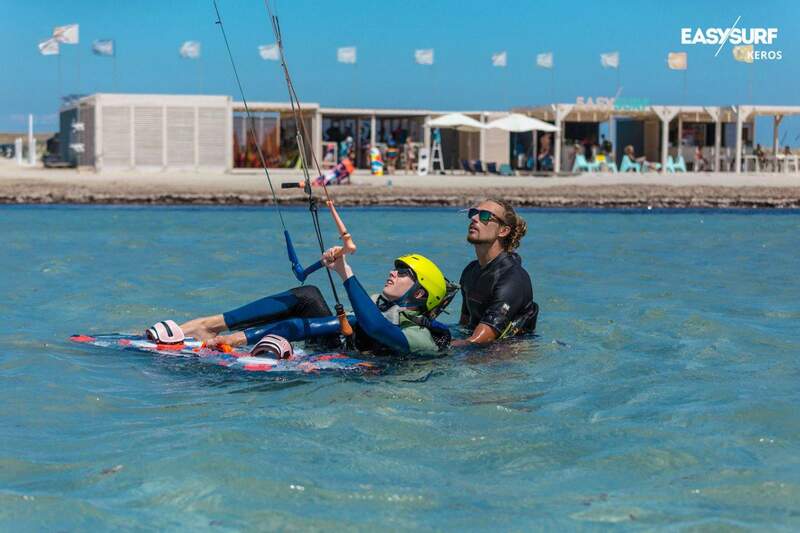 After 4 -5 hours of the lessons the student is able to make first short rides in one or both directions. You do not need to be strong or especially athletic, as kitesurfing is a technical sport, so no strength is required. 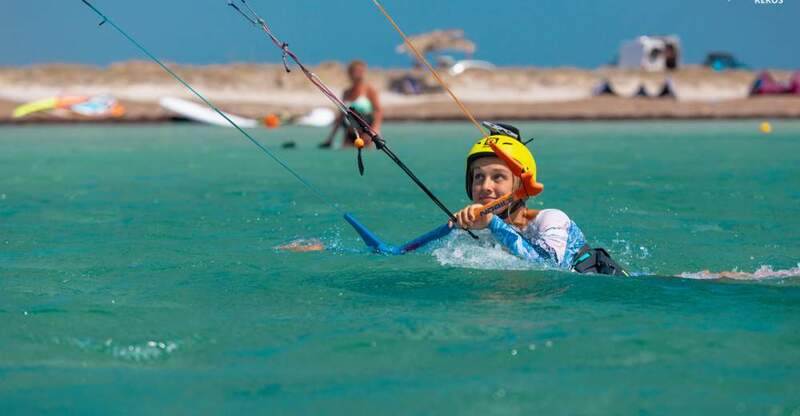 Women and children are also good kitesurfers, so in short – this is the sport for everyone. 4. Is it a safe sport? Yes, the kites are completely safe. 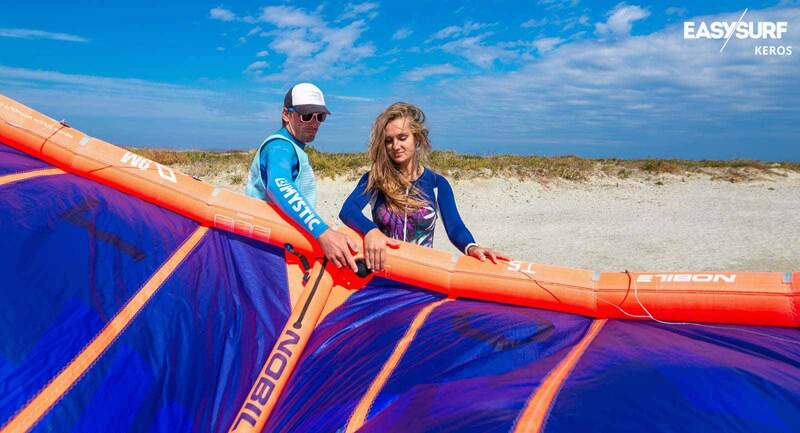 All kites are equipped with safety systems and it is a “must” during every kitesurfing course to learn how to use it. 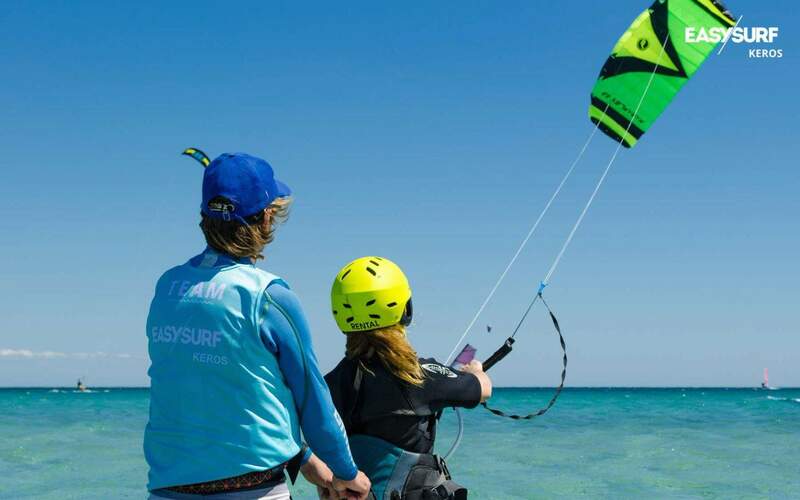 Also, the kite size is matched to the conditions and the weight of the student. 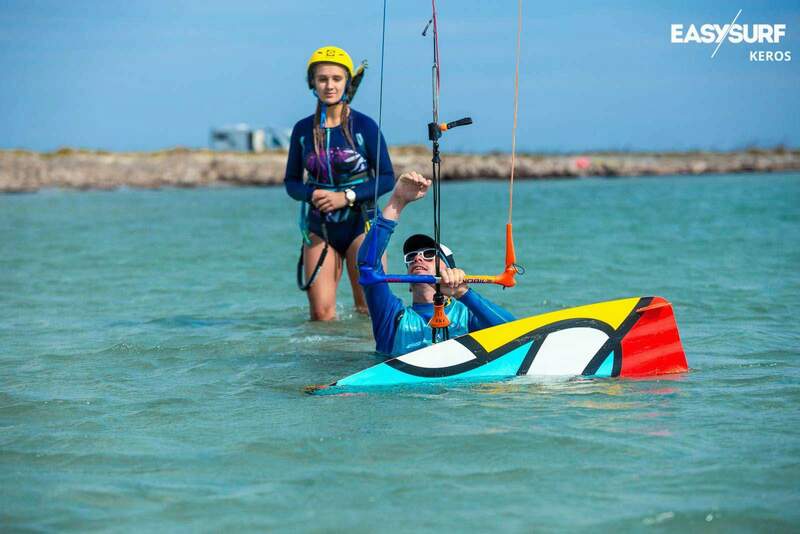 It is important to learn with a licensed instructor at the school with modern equipment. 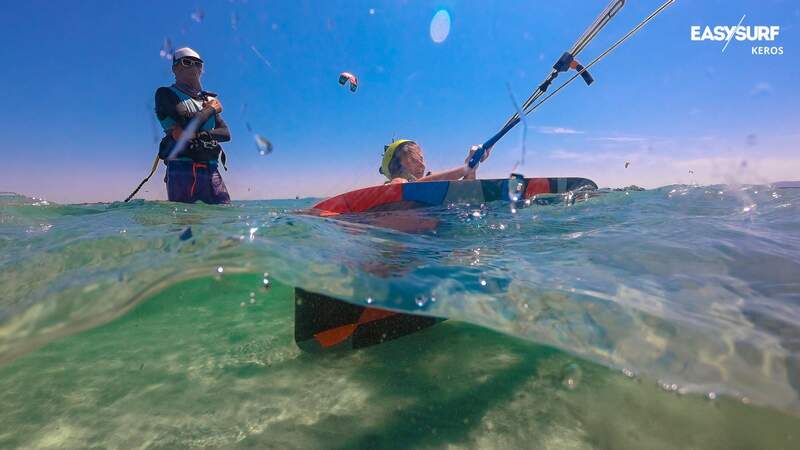 Learning "with a colleague" who have probably one size of the kite - usually ends up in frustration. 5. 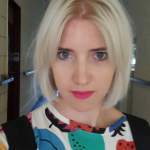 Which course to choose to start with? 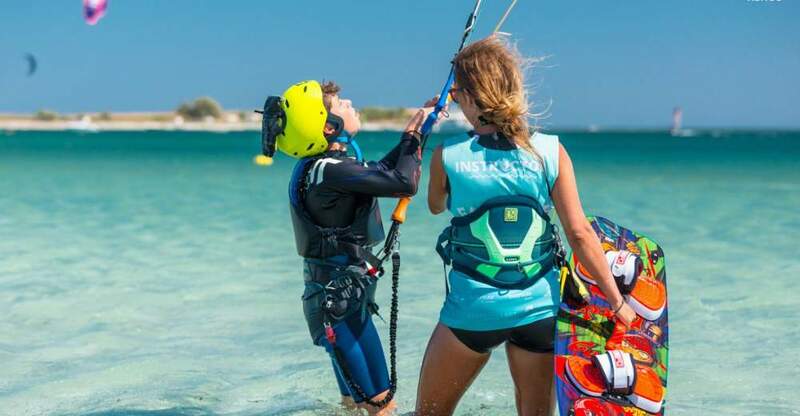 Basic kitesurfing course covers two levels of IKO training programme and is an absolute minimum required to become independent kitesurfer. 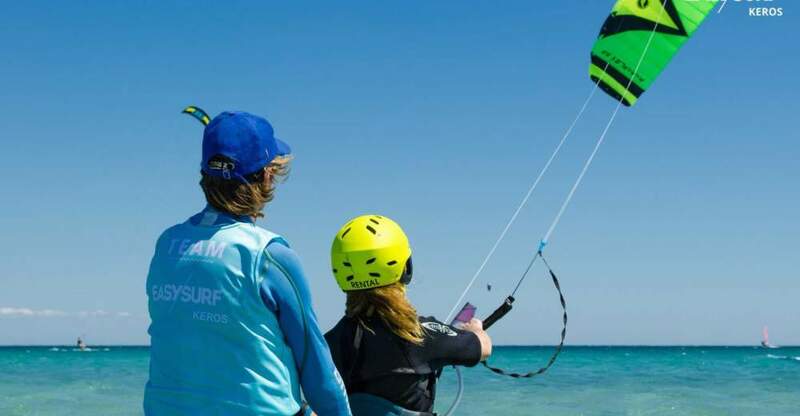 The programme covers following subjects: kite control, safety systems and ways to use it, body dragging and learning how to generate power through the movement of the kite in the wind window, putting the board on the feet and the first short rides in both directions. 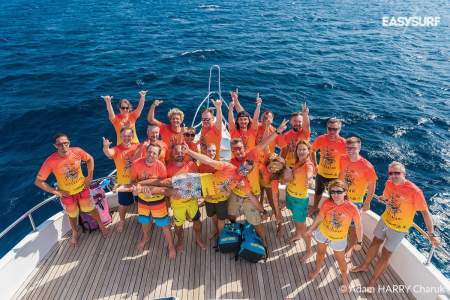 This course allows you to obtain an international license that will enable you to rent equipment in most places in the world. 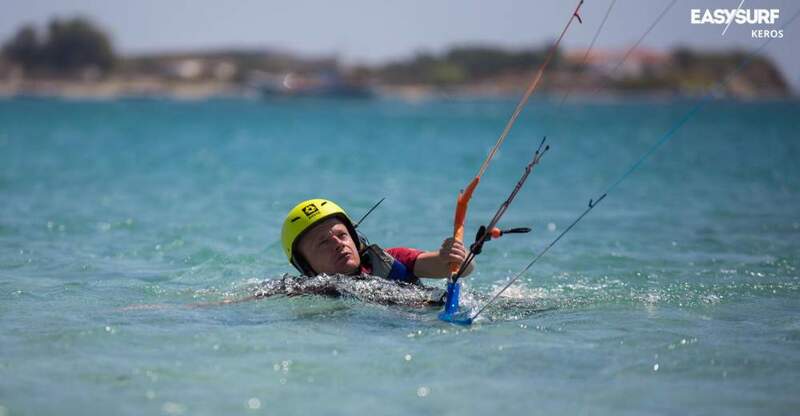 To get fully independent and learn additional skills under the eye of the instructor you should sing up for the full course IKO 1 + 2 + 3, during which you will also learn how to ride upwind, make your first turns, , riding switch, and even the first jump. 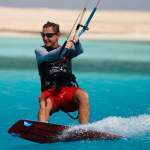 Full kitesurfing course will allow you to get fully independent in all conditions. 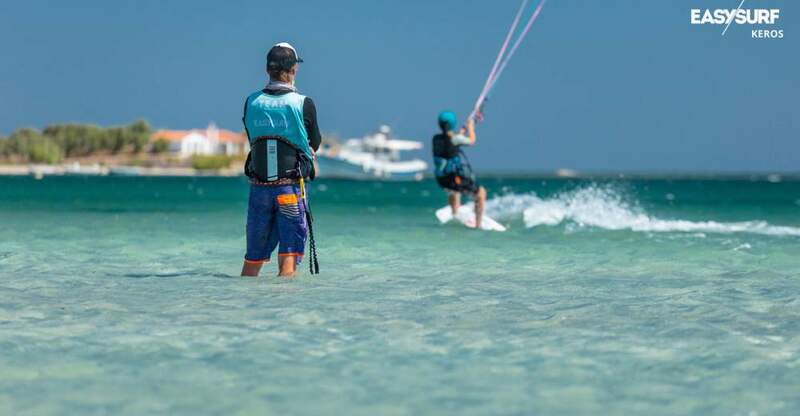 If you are very fit or already good at windsurfing, wakeboarding or snowboarding you should consider Basic Express Course – which can always be upgraded to Basic Course in case Express turns out to be too short. 6. How many days does the Basic Course take? A basic course usually takes 2 to 3 days, taking into account that the training takes place in the morning and afternoon in 2-hour blocks. 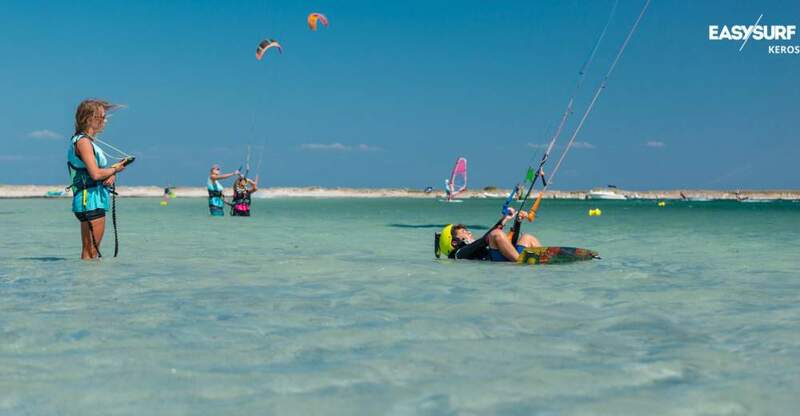 We are flexible, so the classes are always adjusted to the wind conditions and customers own time. 7. 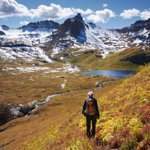 Individual or group course - which to choose? That entirely depends on students’ preferences. 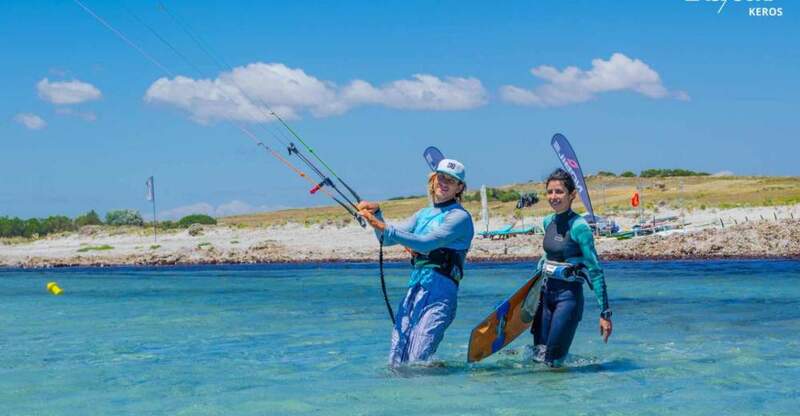 If you wish to complete the course in a short time, prefer personal instruction and intensive training you should consider the individual course. The price is higher than a group course, but the course time is intended only for one person. Group classes (in groups of maximum 2 persons) allow for mutual observation and analysis of exercises with an instructor, which definitely helps to understand errors instantly. An important factor is also the mutual motivation in the group. Course price is lower, but the duration of the course is extended. 8. At what time do we run the courses? We run the courses daily during our opening times – from 9 am to 6 pm. 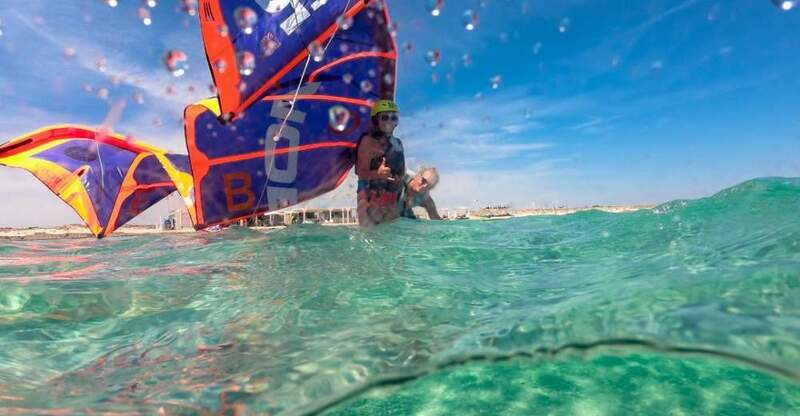 We set specific hours from day to day looking into tides, wind and students’ preferences. 9. 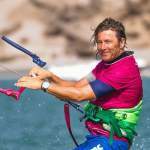 How many hours need to learn to kitesurf? 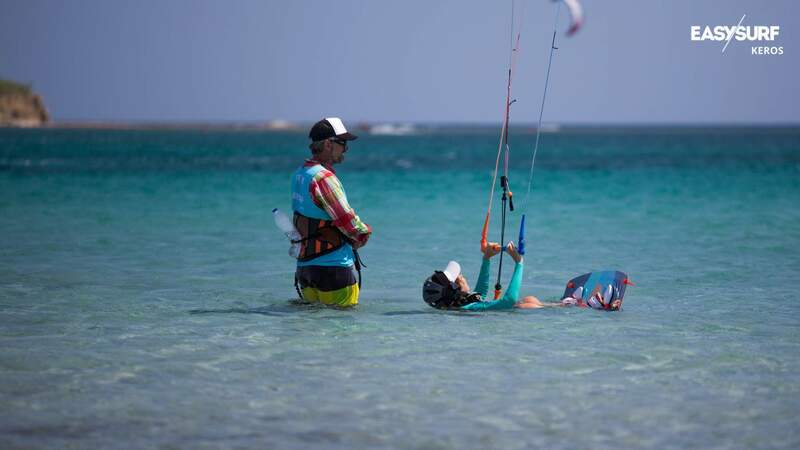 To learn how to ride and gain independence you need 7 - 12 hours under the eye of an instructor. Every student’s abilities are different and affect the time in which you can achieve independence. Nevertheless, the IKO program is designed in a way that most of the students are able to rent and practice by themselves after the basic course. Some learn faster and manage to master skills from both IKO levels during the basic course and others need a little bit more time. 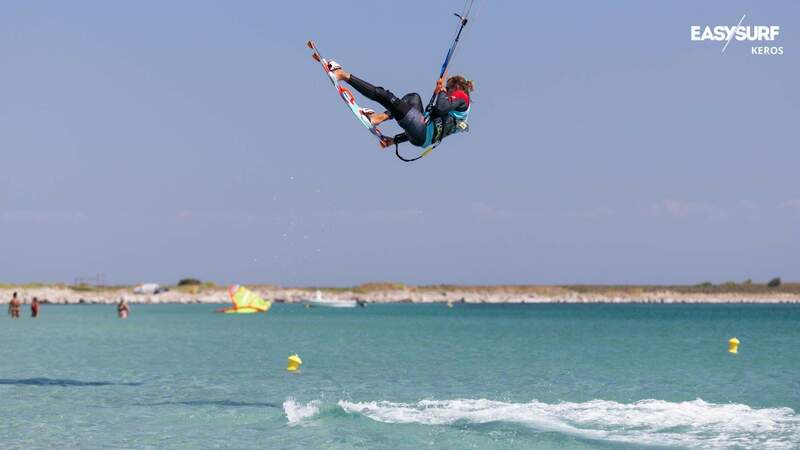 One thing is certain – it only takes your own will to learn to kitesurf. We have never met a person that could not learn. All that it takes is time and self-motivation. 10. 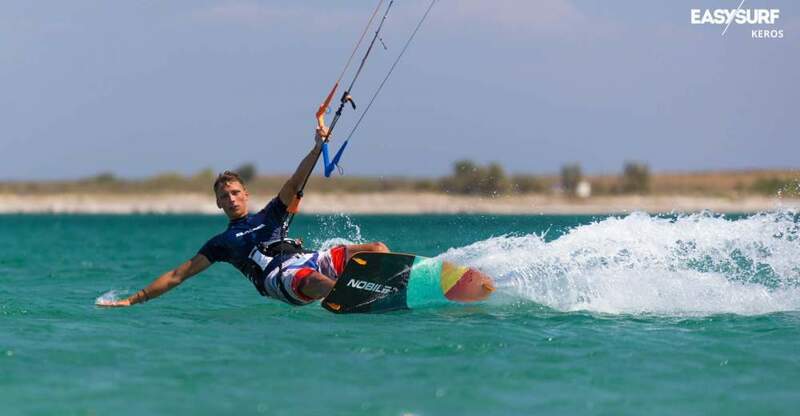 I started kitesurfing course already, but never finished - which offer should I select? 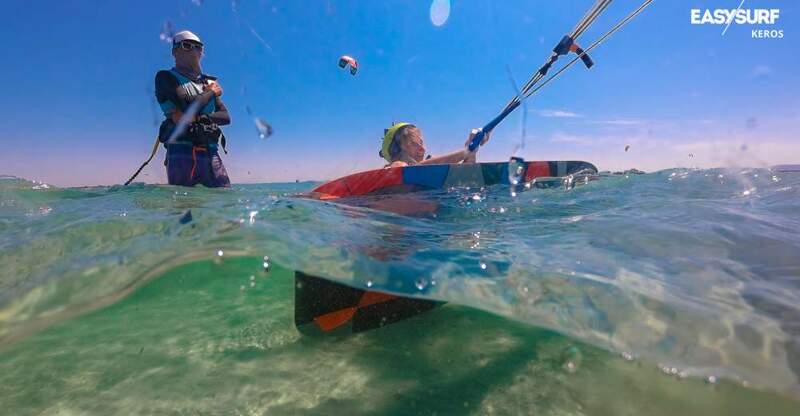 In this case, you should take Intermediate/Advance Course during which the instructor will evaluate previously acquired skills and match individual training according to your experience. With the personal approach, we can provide fast progress and successful training without repeating steps that are already known to the student. 11. 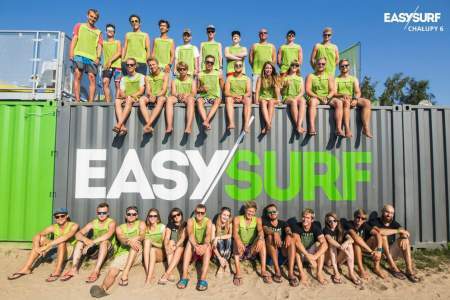 I already finished the course but did not practice for a while - what course to choose? For those who have achieved IKO Level 1+2 skills, but took a long break and do not feel confident we offer a refresher course. Refresher course is available in two versions - for those who own their equipment or for those who want to refresh the skills and rent the equipment for independent practice. 12. How many hours of the course is devoted to learning theory? 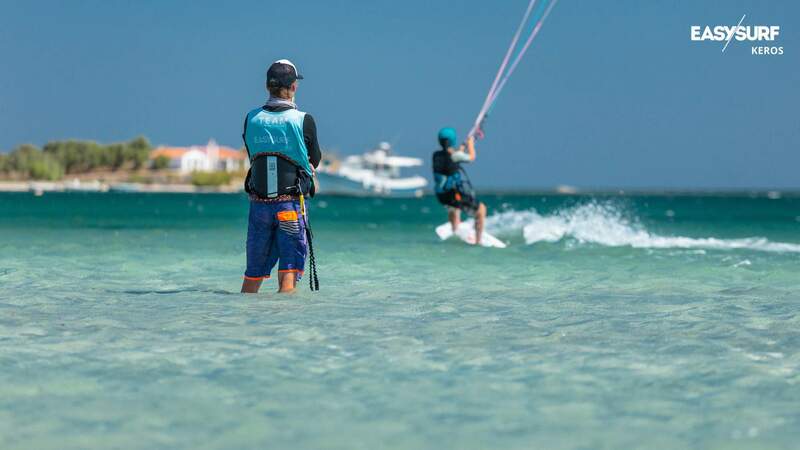 Kitesurfing lessons are based on practical exercises that allow the student quickly acquire needed skills and get pleasure from independent riding. Only 1 - 1.5 hours of classes take place on land when a theory is explained thoroughly e.g. 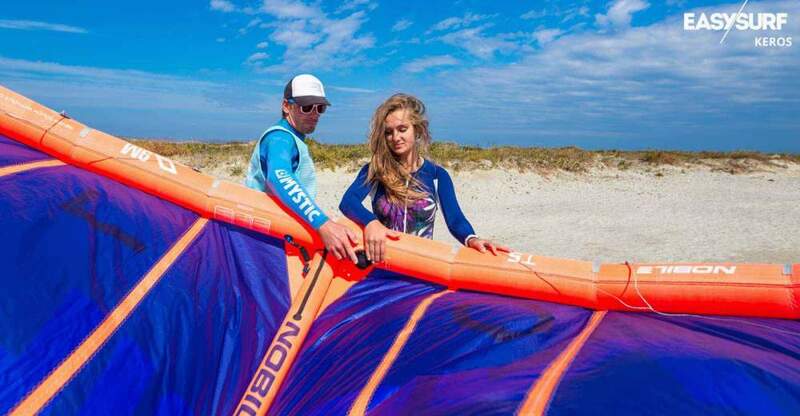 the specifics of the wind window, specifics of the kite, safety systems. The rest of the course takes place in the water. 13. 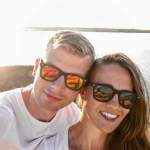 When will I be able to rent or buy equipment? Equipment hire is possible after reaching the IKO level 1 and 2 – when you are able to perform smooth water starts in both directions and controlled stop. In order to rent equipment, you need an IKO card, which is included in the course price and given once course is finished. Buying the equipment is also recommended after completion of the course. 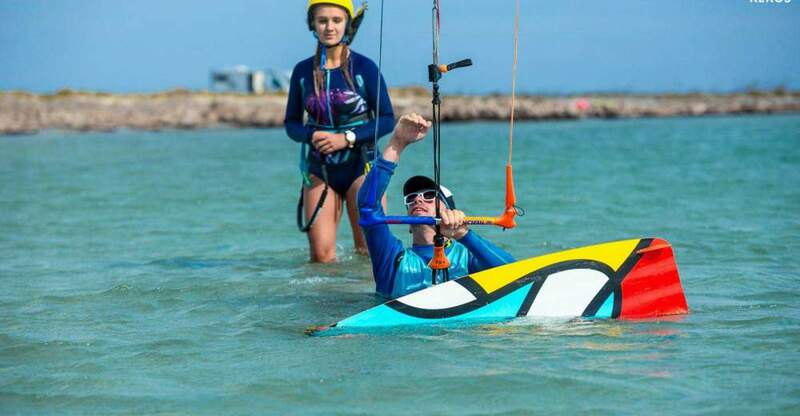 Ensure you love the sport, speak to your instructors about a type of equipment, sizes and conditions and then decide what to get. 14. What equipment should I have to join the course? 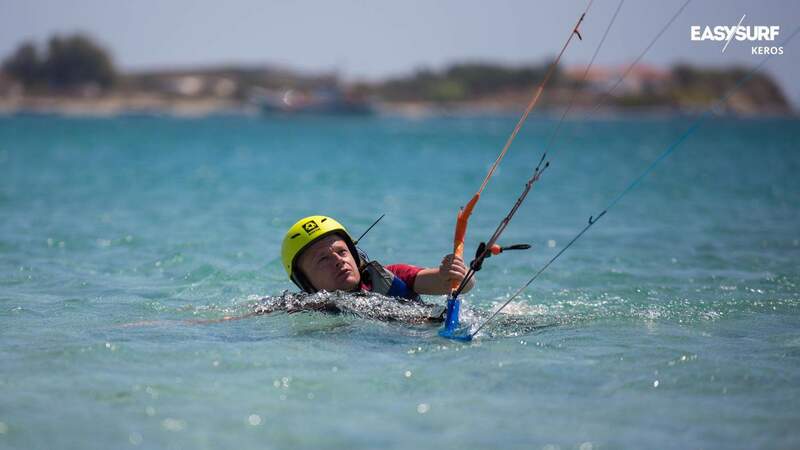 To start kitesurfing course you do not need to have any equipment of your own except the wetsuit, which can also be rented from the kite school. 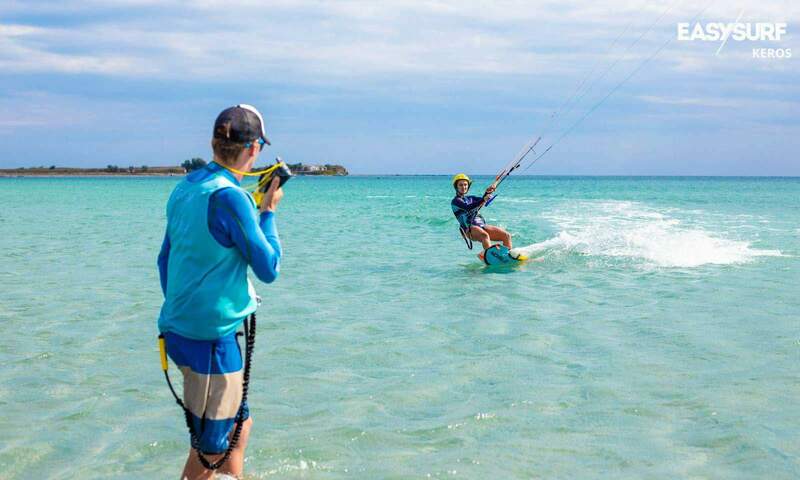 The first thing to buy would be the harness – however, this and kite + board should be decided after you have finished the course. 15. I have my own equipment and would like to learn with it - is it possible? Yes, there is an option to learn on your own equipment. Price of the course on your own equipment is reduced by 15%. But it is not always worth it. Firstly we offer school equipment in all sizes - from 5 to 17m, as well as large school boards. 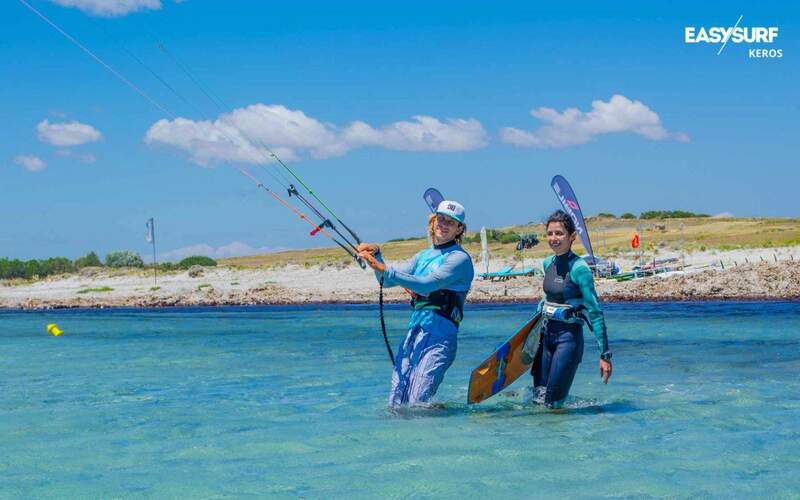 All this ensures that the equipment is always perfectly suited to the conditions on the water and guarantee fast progress and smooth training. In addition, it is not worth to "destroy" your own equipment at first, not always successful attempts. 16. Do I have to pre-book the course? No, the course does not have to be booked in advance, although there are benefits if you do so. Firstly, you can book our PROMO packages. Additionally, it is possible to book an instructor who speaks in your language and schedule the classes in advance. 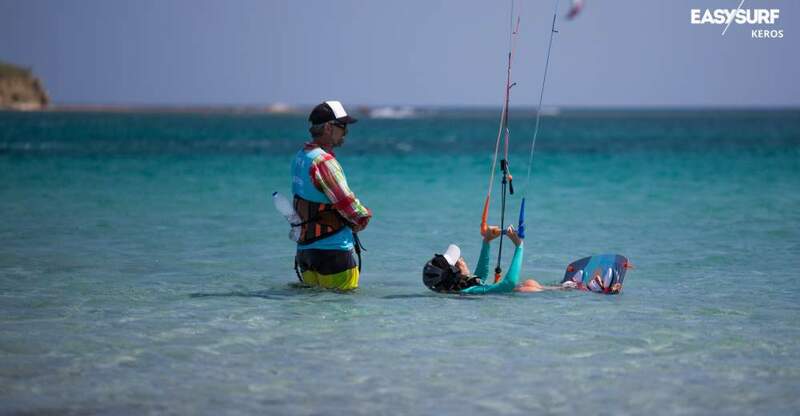 You will avoid waiting for a free instructor and will use the conditions to the maximum.